Listen to this track by Floridian rock ‘n’ roll flame-keepers Tom Petty & The Heartbreakers. It’s their top twenty Billboard hit “Refugee” as taken from their high watermark 1979 album Damn The Torpedos. The song was released as a single in January 1980, standing as one of their breakthrough songs into the top 40 from that time forward. “Refugee” is an angry tune, sung angrily by Petty. And in 1979, the swagger put back in rock ‘n’ roll in this fashion was a very good thing. Yet, at the same time, there is a pretty timeless quality to this song too, reminding us that the pissed-off, frustrated lover in a relationship marked by baggage that won’t be put down is as much a part of pop music as it’s ever been. It doesn’t matter whether its sung in 1979 or in 2012. Because when at its best, the power of pop music is that it runs neck and neck with shared human experience. But, at the time, only just before this song scored such career-cementing success as a single for Petty, the artist really was in a relationship he wasn’t happy with and was having a hard time getting out of. And it had very little to do with love. Before their third record was in process, Tom Petty & The Heartbreakers were on the Shelter label, distributed by ABC records, which was in the middle of being sold to MCA at the time. Remember, ABC was the label that screwed over Emitt Rhodes years earlier on an unsupportable record contract akin to indentured servitude. And when MCA bought Petty’s contract as is as a part of the sign-over without any talk of re-negotiation of his contract, Petty rebelled. When the deal went down, Petty declared himself a free agent, resentful of being treated as an asset, and not an artist. Rather than submitting to the transfer of his contract from one entity to another, he declared chapter 11 instead. The bankruptcy gambit was to break a cycle of debt (and therefore the financial hold over him) with his label, who had advanced him money on his first two albums. This arrangement was, and is, common in the music industry, designed for keeping artists on the hook while forcing their productivity to try and stay ahead of the interest on the advances. In this case, declaring bankruptcy worked out for Petty, and MCA gave in. After an out-of-court settlement, he agreed to sign to a new subsidiary of MCA (Backstreet) and his third, and eventually best-selling record, was underway. The record, with an appropriately combative title, eventually yielded a U.S top ten hit (“Don’t Do Me Like That”), and a top twenty hit (this one), plus two other staples in the classic rock canon; “Even The Losers”, and “Here Comes My Girl”. This wouldn’t be the end of his troubles with MCA, or with the music industry in general. But, Petty found himself able to move forward artistically and commercially after deciding he wasn’t going to – wait for it – back down. The result was a platinum record that stands as one of his definitive statements as a songwriter. Whether the conflict and stress of the legal wrangling played into the guts and fire of “Refugee” and other songs on the record is hard to determine. But, it certainly brings out the idea that songwriters deliver their best results when they are free to put their passion into their work on their own terms. And this record was certainly a hard-won victory in many respects, particularly because, under only slightly different circumstances, it may not have been made at all. The band are an active unit today, of course. Visit the Tom Petty & The Heartbreakers site for up to the minute news on releases and touring dates. 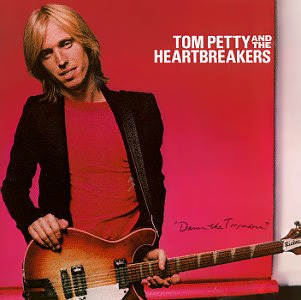 Also, to learn more about this album, check out the Tom Petty & The Heartbreakers Damn The Torpedos satellite site, which features the deluxe edition of the record, plus notes and other good stuff. I wore the grooves off a 45 of this song. Still love it. The stand out track on this album is Shadow of a Doubt (A Complex Kid).